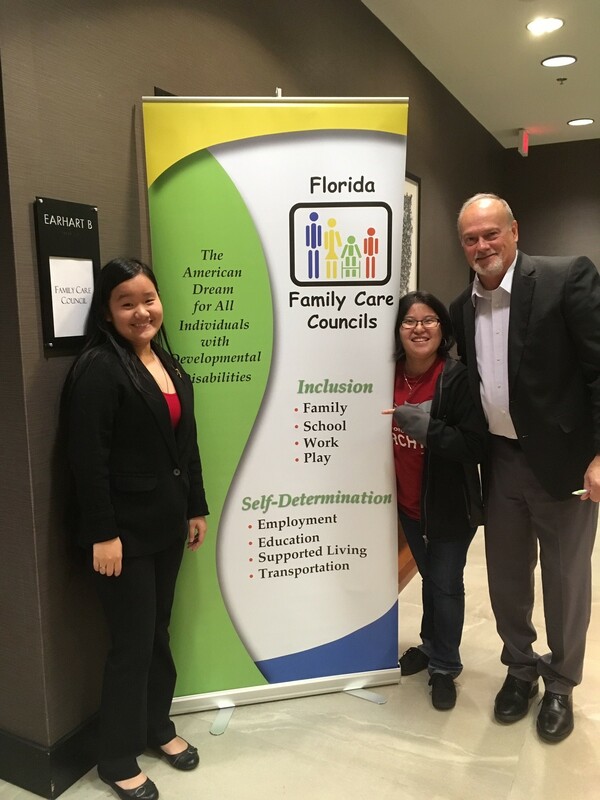 Leadership and representatives from the local Family Care Councils (FCCs) gathered together for their bi-monthly meeting in Orlando on January 18-19. The meeting featured presentations from the Agency for Persons with Disabilities (APD). APD Ombudsman Natalie Jean presented information on the role of the agency’s ombudsman. Also, Deputy Director of Operations Tom Rankin and Bureau Chief of Provider Supports Clarence Lewis provided the council with agency updates. Additional guest speakers included Florida Association of Rehabilitation Facilities (FARF) President and CEO Suzanne Sewell, who shared information on FARF’s 2019 legislative priorities. The Arc of Florida Executive Director Deborah Linton shared updates on their dental program, a choking prevention training curriculum they are creating, and their legislative goal to increase service quality for individuals with developmental disabilities. The next statewide council meeting will be held in Orlando on March 15-16. Additional information about the upcoming meeting, as well as a list of local FCC activities, may be found at www.fccflorida.org. Hannah Moore, DarLing Malacko, and Tom Rankin attended the January FCCF meeting. Hannah and DarLing are self-advocates and daughters of FCC members.